Various: L-Imnara, Vol. 11, No. 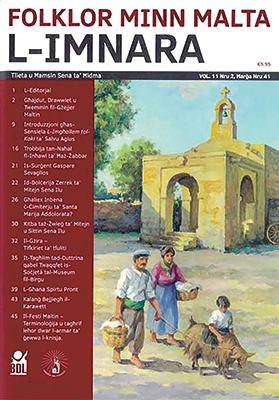 2 (2018), BDL Publications for the Għaqda Maltija tal-Folklor. For anyone who still remembers the first cyclostyled copies of L-Imnara, the organ of the Għaqda Maltija tal-Folklor, painstakingly produced by a fistful of volunteers, the recent professional overhaul of its presentation comes as a most pleasant surprise. It has become a journal that compares most posi­tively with similar publications. Moreover, it is now attracting even more authoritative contributions by some leading Maltese authors, which makes it an even morecollectible item. Salvu Agius (1883-1941) was an extremely prolific author writing books with many literary, social, and sacred themes as well as contributing many articles in newspapers. A follower of Manwel Dimech in his younger days, Agius was also the first to publish recipe books in Maltese. His five small books in the series L-Imgħallem tal-Koki were published just before World War II and were to play a part in influencing local eating habits. He includes a lot of typically local recipes, as well as others for people who could not afford meat often, including a spaghetti la Għawdxija. He also gave recipes for desserts, which were a bit of a novelty among the common people. Sergio Grech’s well-researched article about Salvu Agius throws light on both man and his works. As we witness the present plethora of local cookbooks and cookery programmes on television, it seems only right to pay merited homage to this pioneer. Alfred E. Baldacchino, a foremost environmentalist, writes about the beliefs and traditions associated with local flora and fauna. Snakes and reptiles have both traditionally suffered a bad reputation, which explain the misguided attempts to eradicate them from around the house and wherever they could be found. Fresh tortoise blood was considered a remedy for jaundice and epilepsy. The powder from butterflies’ wing was believed to cause baldness, but fortunately there was a natural remedy to restore one’s crowning glory. All you needed was skink oil! Veteran educationalist and author Tony C. Cutajar recalls the Gżira of his boyhood, when there were still green fields aplenty and the town was the centre of all the major footballing activities across Malta, all thanks to the legendary Empire Stadium. As a young boy, Cutajar had witnessed some of the bombing of the war but is today fated to witness destruction on a much larger scale. 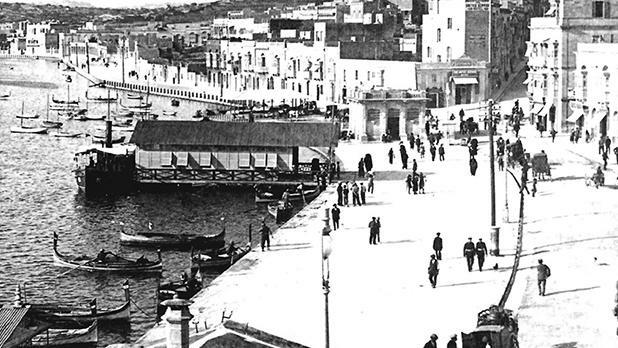 Gżira today has experienced some great changes, and not for the better. Up to a few years ago ambulant sellers were fixtures in most towns and villages, each with their traditional calls. Kalanġ (Mikelanġ Bonnici) was probably one of the best known of all, especially because he used to sell peanuts and other nuts in Sliema. Ġużi Gatt writes about għana spirtu pront – a traditional witty form of għana that involves clever linguistic responses. Although extremely popular to the ‘lower classes’, this spontaneous form of għana tends to be under-apprecia­ted by cultural snobs, and Gatt makes a sincere call for its revalua­tion as part of our heritage, competing with that of għanejja. Nazzareno Azzopardi publishes extracts from a marriage writing of 1755 between a couple from Mqabba which details a considerable endowment of immovable property together with such items as two black woollen blankets, five faldetti, a white towel, and a cloth to be used for the kneading of bread. While bee-keeping has traditionally been associated with the northern garigue thyme-rich regions of Malta, Michael Butti­gieg describes in good detail simi­lar activities in the Żabbar area, which goes back at least to the latter years of the 18th century. Even in its new very attractive dress, the humble L-Imnara continues to shed its little light on Malta’s rich folklore with every issue.